Good racetrack Wi-Fi makes betting easier for patrons, and produces shorter lines and more betting. Is your track taking advantage of it? Race courses have lately been adding WiFi service to their venues, and have reaped the reward from increased handle, happier patrons and better guest experience. With new gaming venues opening each year, racetracks must offer new and exciting ways to keep fans happy. Racetrack WiFi allows access to email, web, and social networking sites for patrons to share their day at the track with friends – with the added features like on-track betting and advertising for promotions and specials – helping increase customer engagement and revenue. 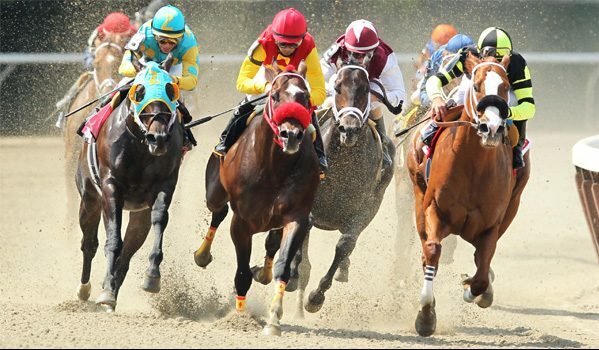 From using WiFi and geofencing technology, to monitoring traffic on the backstretch, to using Google Glass to give the customers the virtual experience of a jockey in a race – with WiFi at your racetrack, the sky is the limit. Why consider Deep Blue for your Racetrack WiFi? The equipment that Deep Blue Communications installed also gives racetrack management the ability to see what sites their patrons visit most often, and restricts access to those sites as necessary. Each network is fully scalable and flexible enough to allow increased bandwidth to fully meet patron’s data requirements as the popularity of the mobile wagering platform continues to increase.